I am a wild-haired author who cannot stop writing. The writing process is not a task for me. It is an extension of myself. When I write, I lose myself as easily as if I slipped into the story for a swim. Writing became a serious part of my life in Decmber of 2009. Unless you're reading this in 2017 it wasn't that long ago, and the bug hit me hard and fast. 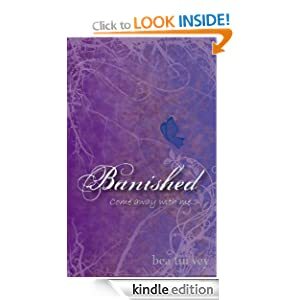 My first novel, Banished, was published in March 2010 and is available at http://www.amazon.co.uk/Banished-ebook/dp/B008PGM4TQ/ref=sr_1_1?ie=UTF8&qid=1361913026&sr=8-1. If you read it, or anything else I've written, I hope you'll post a review and let me know why you liked it - or even why not!